I discovered something really cute at the Kokagechaya of Miyajidake Shrine. 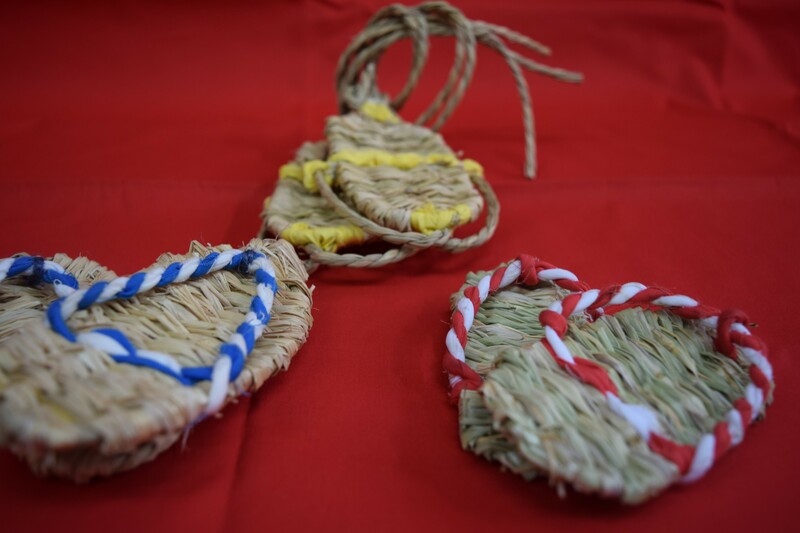 These “Waraji” (straw sandals) are completely handmade by the priests. 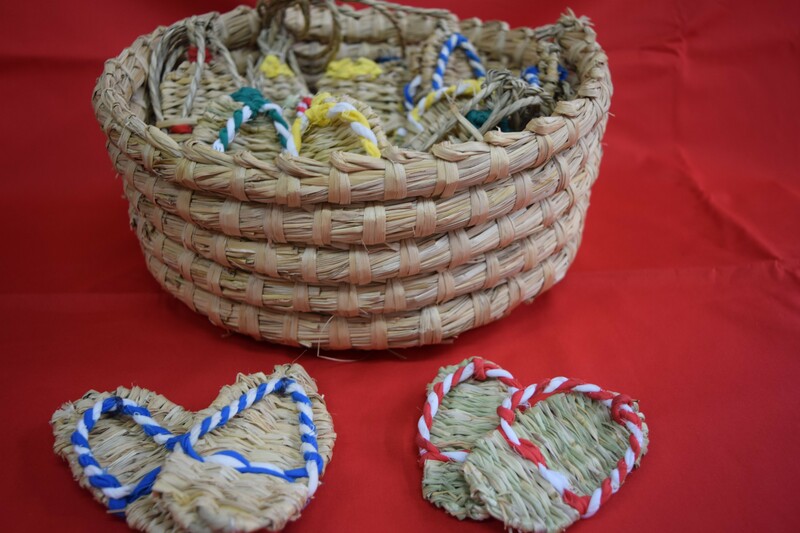 It is used for the celebration of one year old, in which children wear these straw sandals and step on rice cakes.